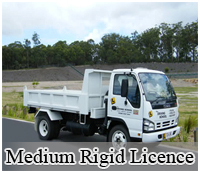 Need a Truck Licence in NSW? Kool Driving School has a range of courses to suit all license classes in New South Wales. Whether you want to get a light rigid truck licence to drive a larger minibus, or a heavy combination licence to drive the prime mover of your dreams, we’ve got a convenient and affordable course to suit. 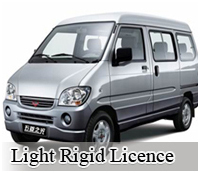 Whether you wish to drive a small school bus, minibus or light courier vehicle, we have the tools to get you started! 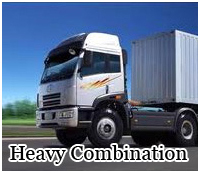 A medium rigid truck is any rigid truck with two axles that has a GVM over 8 tonnes or a two axle bus above 8 tonnes GVM. • a three axle articulated bus or a 3 axle bus above 15 tonnes GVM. 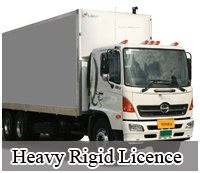 This licence is for those who need a heavy rigid truck licence in NSW and include intrastate and interstate heavy transport workers & logistics contractors. A HC truck is any prime mover with a minimum of three axles and a semi-trailer with a minimum of two axles – the vehicle must have a GCM rating of at least 24 tonnes, or heavy rigid vehicle towing a trailer – trailer must have at least two axles and a GVM of 12 tonnes or more. If you want to drive large vehicles for intrastate and interstate transport, you will need to get an HC truck licence in NSW.